The crew returns for a special Halloween-themed episode of Zone 4! Check out Patreon.com/BrantFowler for Zone 4 Aftermath on Mondays and early access to audio versions of Zone 4! We discuss Iron Fist Season 2 and the wonderful character interactions in the show. WE also talk about possibilities of a Season 3. Déjà vu! 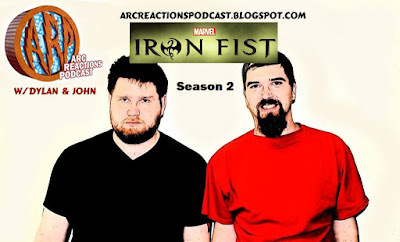 Join Randy and Jesse AGAIN for their rambling discussion on seasons 2 of Luke Cage and Iron Fist. Hey, if you didn’t catch the original September 30th International Podcast Day live stream it’s new to you! Plus, this version is a little less rambling. Enjoy!